“A New Dawn For The Dead”, apart from the obvious reference to the classic horror films, also has a subtler message; this is a “new dawn” for GOREROTTED. Now stripped down to a five piece (following the departure of 2nd vocalist Mr. Gore) we see GOREROTTED expanding on their musical foundations to create a much darker, technical, but also haunting album. Goreskin and Wilson’s lyrics have followed this new path with subjects ranging from murder to voodoo and from psychotic violence to drink and drug abuse. The new album has a huge and raw sound that recreates the energy of live shows. It was recorded and mixed during February and March 2005 in Aexxys-Art studio, Schwandorf, Germany. 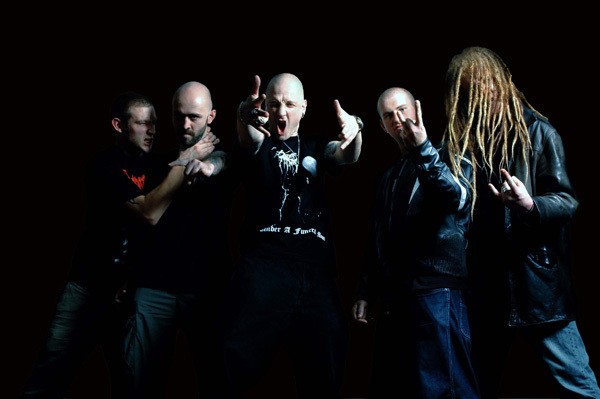 Recording was handled by GOREROTTED’s live sound engineer Markus Roedl and the mix by Stephan Fimmers (Necrophagist). Mastering was handled by the infamous Tim Turan (Status Quo, Marilyn Manson, Emperor, Discharge) at Turan Audio. The fantastic artwork and booklet has been designed by cult UK artist Mick Kenny (Napalm Death, Anaal Nathrakh, etc.) and is some of his most complex work to date. 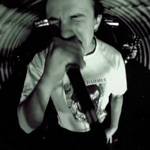 GOREROTTED first hit the scene in 1998 with a self-financed demo MCD titled “Her Gash I Did Slash”. This demo sold out of its 1,500 copies in just a few months. Now rare and highly sought after, copies can only been found on websites like EBay. 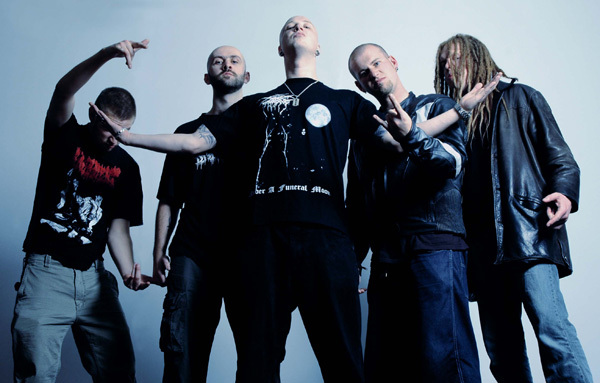 In 2000 GOREROTTED signed a deal with UK label Dead Again Records for the release of their first full-length album “Mutilated In Minutes”. In 2002 “Mutilated In Minutes” was re-issued with brand new artwork by IBD Records for Europe and Relapse Records for the USA. With the re-issued album selling fast, GOREROTTED were featured in the Terrorizer magazine “Gore Issue”. “Mutilated In Minutes” went on to beat all albums by Cannibal Corpse, Mortician, Exhumed and the other usual suspects to come in at number 7 in the Gore Metal Album Top 20 of all time. Only Death, Autopsy, Carcass and Repulsion had higher-ranking albums. 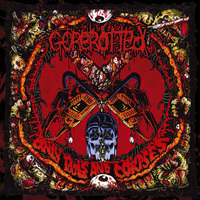 November 2003 saw the release of GOREROTTED’s second album “Only Tools And Corpses” on Metal Blade Records. 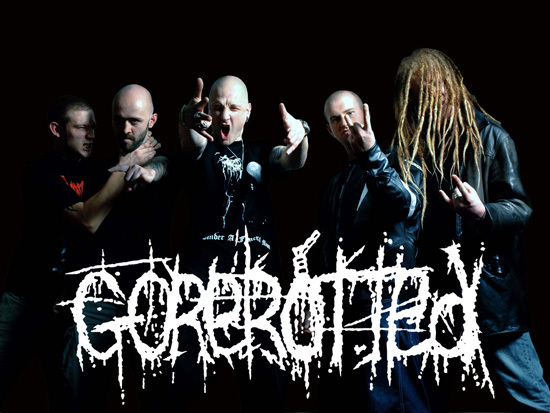 GOREROTTED toured heavily during 2003 / 2004 to promote “Only Tools And Corpses”. Shows included a two week European tour with Pungent Stench, a headline UK tour, a headline Dutch tour, a mini German tour with Vomitory, support slots with Cannibal Corpse, and many festival appearances including Summer Breeze open-air, Party San open-air, Kaltenbach open-air (Austria), Grind Your Mother Open-air (Italy), Arnhem Metal Meeting (Holland) and The Rotterdam Death festival (Holland). 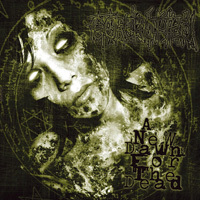 With “A New Dawn For The Dead” GOREROTTED have finally buried their gore and grind roots, this is beyond death, this is pure extreme metal with a rock and roll attitude. Fast and violent music that makes you wanna destroy all around you.